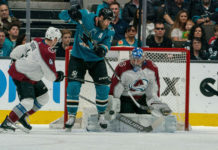 The Avalanche battled back from a two goal deficit in the third period, but the overtime struggles that have lingered all season emerged again. 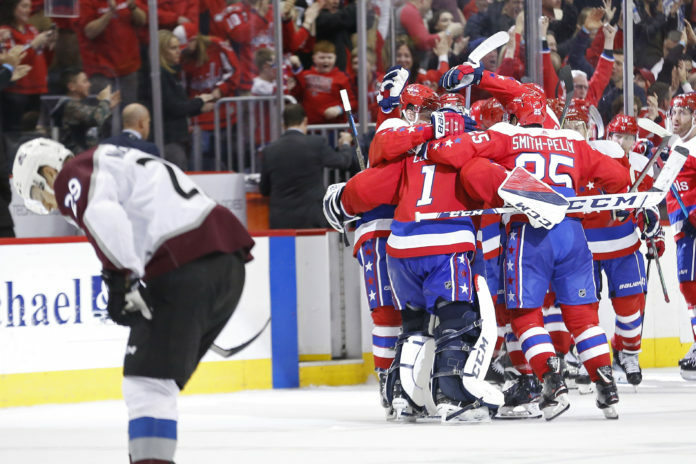 Colorado lost in overtime to the Washington Capitals by a score of 4-3. What did we learn from this game? At this point, the Avs should just spot the opposing teams a one goal lead when the game starts. They can’t seem to get out of their own way in the first period, and were lucky a quick whistle from the refs saved them an early two goal deficit. When you’re losing, you only make it harder on yourself getting behind early in every game. Semyon Varlamov actually played very well Thursday night. He bailed out some big time defensive breakdowns and at least kept it close in the third period. The third Washington goal, however, was nightmare fuel for Avs fans, as he knocked a shot that appeared to be going high into his own net. He at least recovered afterwards to give the Avs a shot at the road point. Matt Calvert was lost and found. Calvert completely lost his man on the opening goal of the game, but he did hustle back and make a great play to break up a 2 on 1 chance just prior to Colin Wilson’s game tying goal. He managed to pick up an assist when he played the puck from his belly. Ian Cole is extremely lucky the Avs were able to at least pick up a point. While it’s tough to tell how hard he actually hit Evgeni Kuznetsov in the third period, the intent was pretty clear from the replays. He was skating ahead of Kuznetsov, and clearly slowed down and flared out his elbow to hit him. He then proceeded to get the beating of a lifetime at the fists of Tom Wilson. He’s taken a lot of penalties of late but that one was very selfish. Nathan MacKinnon needs to play a full 65 minutes. MacKinnon is the teams best player, but he has to be smarter than he was in overtime. His final shift clocked in at 1:58. He had several chances to change but just chose not to in hopes of getting the game winner. Instead, he let a guy behind him, was too tired to even get close to him and the game was over soon after. That’s not the type of shift that will get this team into the playoffs. 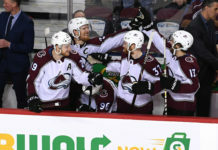 The Avalanche continue this road trip when they had to New York to take on the Islanders on Saturday. The game starts at 11 AM MST.